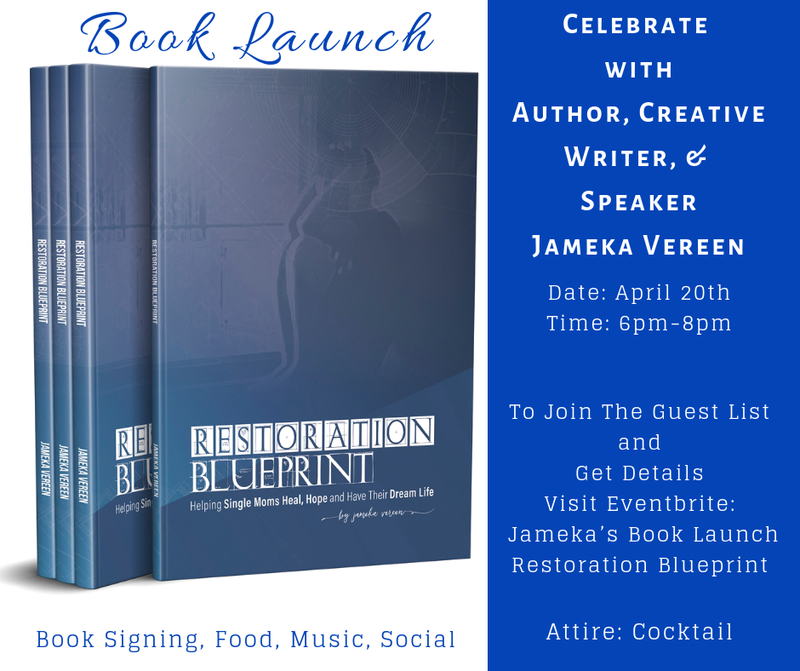 Book launch for the book Restoration Blueprint “Helping Single Mother’s Heal, Hope and Have Their Dream Life”. Food, drinks, book signing and networking. Cocktail attire.